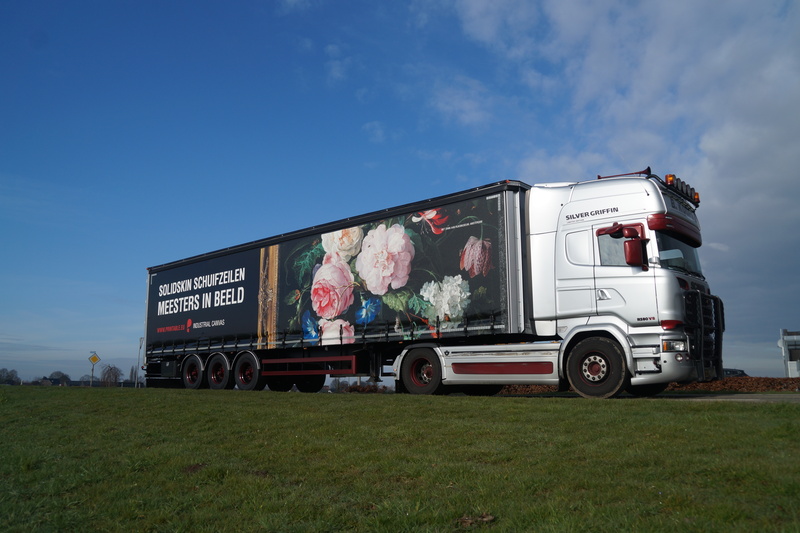 It is an impressive sight to see them roll, the ‘Stilleven met bloemen in een glazen vaas’ (Still life with flowers) by Jan Davidsz. 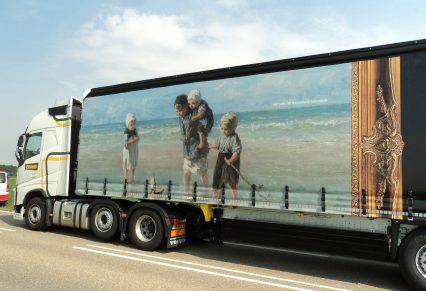 de Heem, The Nightwatch of Rembrandt or ‘Children of the sea’ by Jozef Israëls. 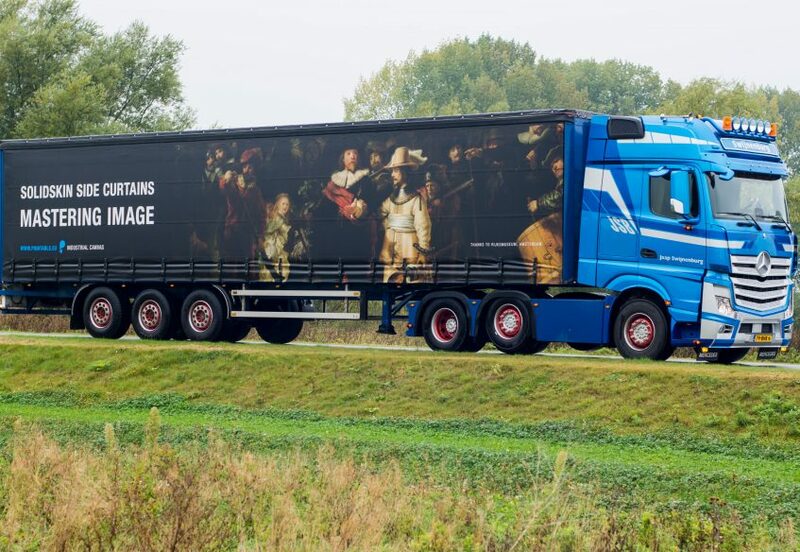 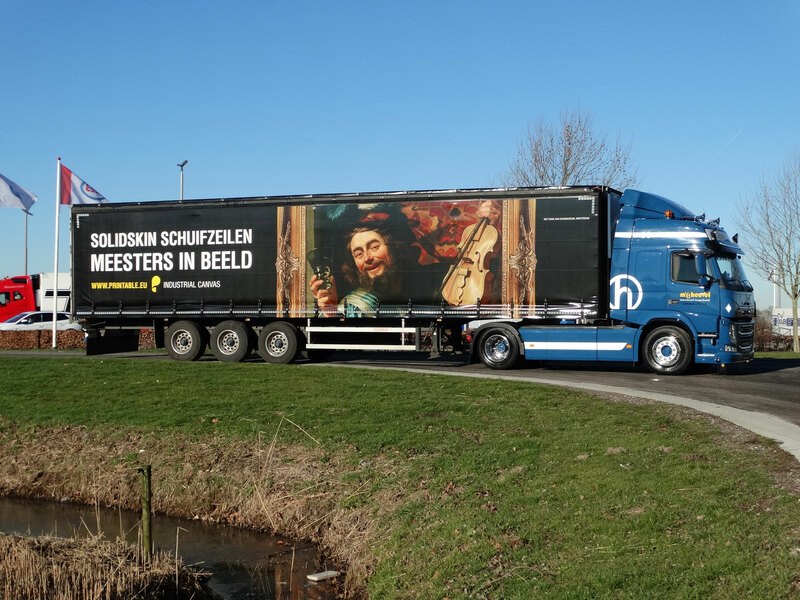 Since last year we have been releasing side curtains with famous masterpieces of the Dutch Rijksmuseum. 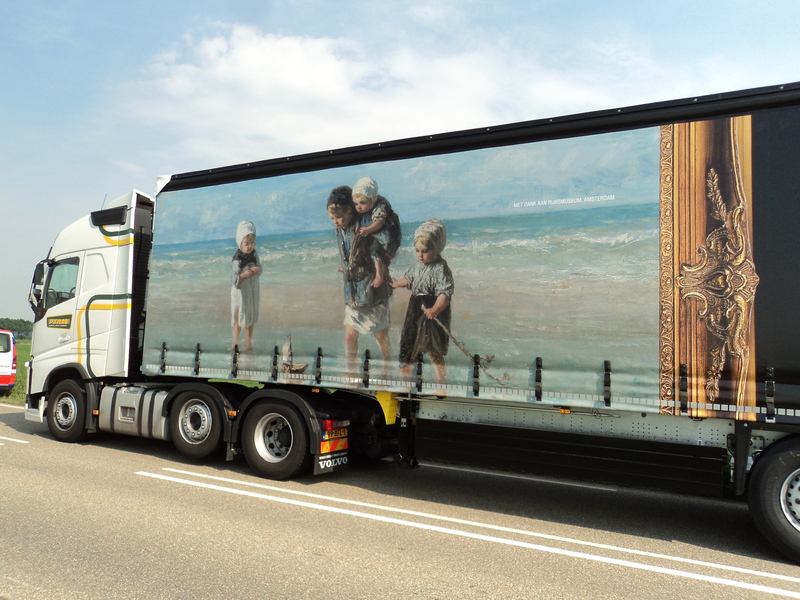 We do this not only because we love to share these amazing paintings, but also because we share a similar philosophy. 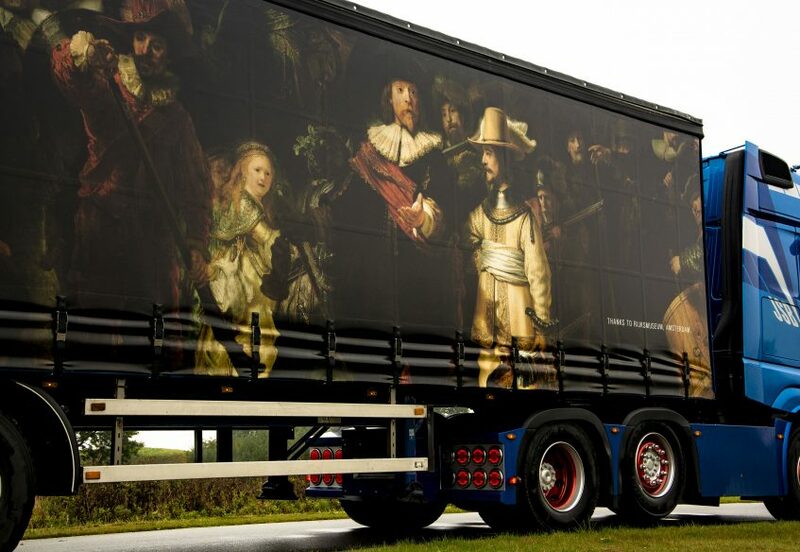 Our production techniques and conservation of image for side curtains are set to the highest standards, just like the Rijksmuseum and these famous painters. 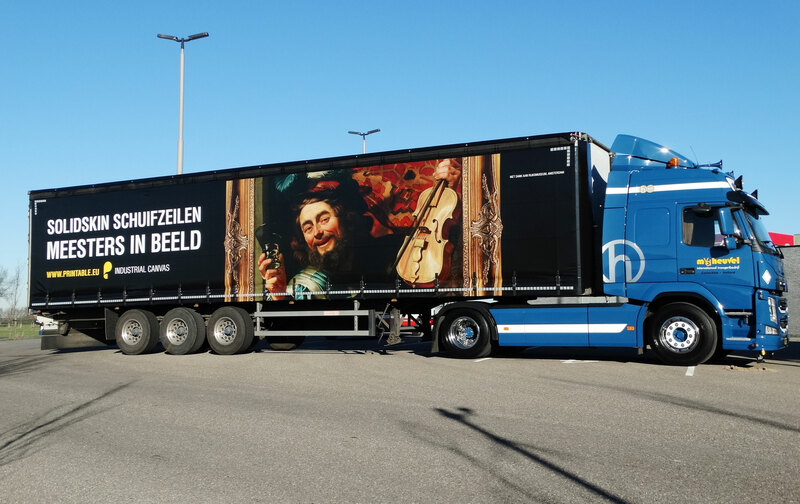 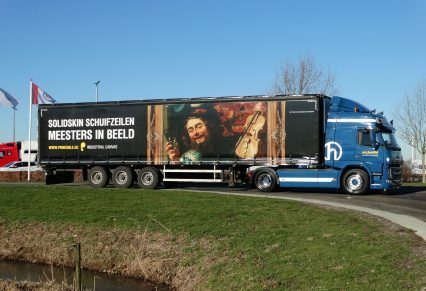 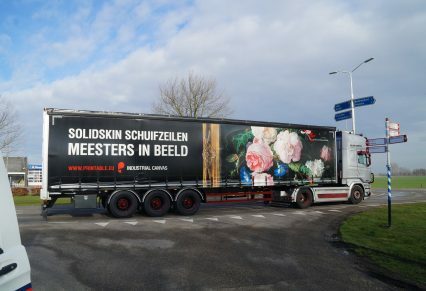 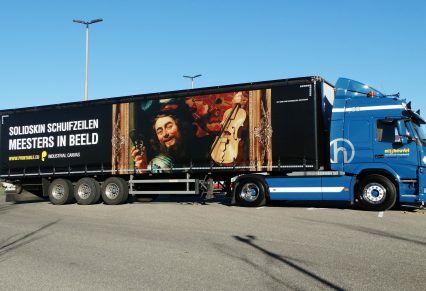 That is why we labelled these trucks ‘meesters in beeld’ (masters of image). 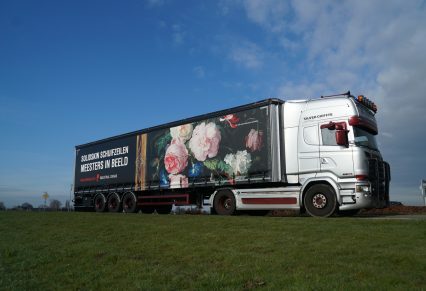 That is what we’ve been doing at Printable for more than two decades: achieving the highest standard.